3 x Let’s Go, Legionnaires! 1 Drop: Triad, discard a card go up to 2 additional triads…all for one card..
Science Police Central- If you control the turn, which you should, everyone gets +2. Which makes Ferro Lad kind of dangerous [7 on the 2 drop!] Or if you have to under drop with triad [who is not unique, you’ll have 2 1 drop 3 attackers] Also, Jazmin should have her cosmic counter, so she’s 4/1 on the 2…after you slaughter them, 3 drop. 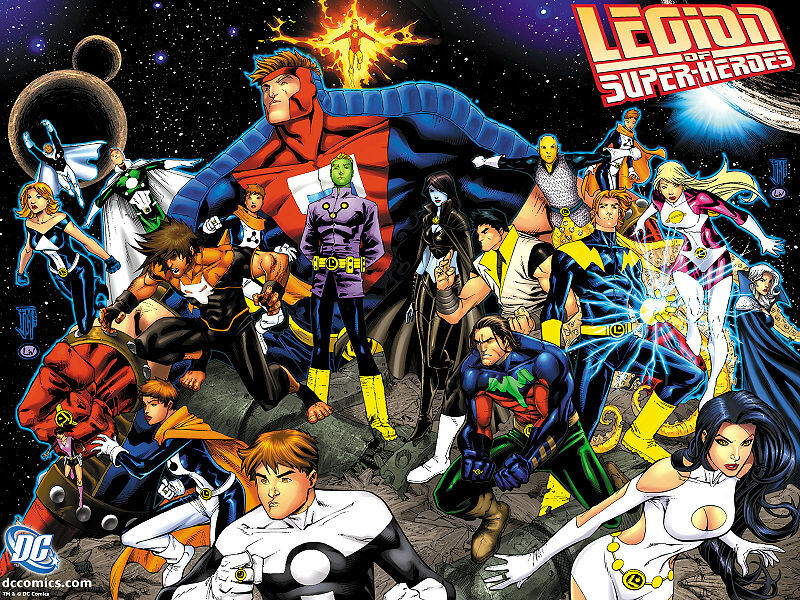 Legion’s only real weakness is no natural (or team stamped) KO card…I think that’s something that hurts them a lot..because if it becomes a recovery fight, Legion World will become that X factor, because no matter how hard they try to hit you, after 4 drop they’ll loose at least 10 a drop. The fact that most of their characters are without range hurts..badly. The 4, alternate 5, 6, 7 and 8 have both flight and range..but 1-3…nope. But, most of them are reservists, so if you replace with 2 worlds, or air strike you won’t miss out on too much if you get a character after replacing. Spark, she’s just a sub for Saturn girl, and plus she has flight, range and is a reservist, as is most of the deck, so if you replace something you can still recover the resource..since they have only 1 terraform location. Once you hit the low drops, just the alternate low drops for cosmic tunning fork food. By definition, modern style of play consists of the two most recent boxes to be released, which means you have to pull from those 4 boxes (two marvel, two DC) to create a deck. For the record, we’re in a DC drought right now, which doesn’t hurt me too much cause I’m marvel all the way. But, a good number of the people I love to play are DC-based, with Marvel Decks, so lets hope DC brings it in for the future. Gotham Knights: Or Batman and friends! Pro’s: Some of the best negation / control in the game right now. Con’s: Half of the deck is hidden, no real power house. Final word: Team them up! The top team-ups worth mentioning are insanity, which can pull from anywhere; World’s Finest, best of bats and Supes, or the JLA. Pros: Defending for them is quite easy, (flying high, Indestructible,) Nice pumps. Cons: Nothing to negate effects, fight real late (5th drop is the quickest), since the deck revolves around one central character, long term effects will hinder the deck, (think Elecktra Situation or worse) no real useful low drops, just people Superman needs to save. Notes: Supes alone, which the deck revolves around, is damn dangerous. You have a 4 drop with no cost, a 5 drop that gets +1/+1 for each character you control, a 6 drop which can stun any attacker (but he targets…..) a 7 drop which gives you -2 Atk if you Atk a superman, (which will be on the field with 4, 5, 7,) and a 8 drop who can stun someone if she team attacks or is team attacked, (though I wish she was 17/20, cause at 19/19, its rare to be team-attacked.) bad low drops. Final Word: Team Supes has some nice attacks, and excellent defense, but most feared teamed up. Insanity, or Worlds Finest. Bats n Supes is a beast to deal with. Justice League: Comes in two main flavors, Flash’um, or The League! Cons: Since Ego gem is gone, bats and wonder woman’s effects will become costly, they all play support, with no real attacker below Superman. Final Word: JLA, a very dangerous deck. With a good hand, the flash is gonna kill you, or you’ll be so low, (on characters and health) you might give up. Other than the fact that a lot of their cards require you to discard a JLA character, this is a complete team with little to no drawbacks. World’s Finest: Best of both worlds, Bats n Supes. Also comes with an hint of JLA. Pros: Combines some of the better (if not best) control the DC Universe has to offer right now. With their team up card (the hook-up) you can discard useless characters to draw. Final Word:Well, Worlds Finest or the JUST-US League, is a pretty powerful deck. Batman waiting while superman does all the hard work. Not to mention the cards that they both have to help each other. Other than the fact that they lack a realthreat of an 8 drop, 9 supes, not to mention all his support, makes beating them as difficult as possbile. Revenge Squad aka The Guys (n Gals) that still want your lunch money!!! For starters, this is a work in motion. The Format I want to use the deck in, will be modern, but for now, its Silver (6 drop Brainiac 2.5) and it flows so off. I am lacking 2 key things, Executive decision, and Professior Emil Hamilton * Ruin, that is the major strain on my deck right now. The 2nd way, well is to just curve out and fight. Terra-Man is one of your main fighters, after him, Professor H. to get whatever you need, (should be either Battle for Metropolis or Executive Decision) Atomic Skull, on the 5 I’ve found that Preus gets a little more play than Hank Henshaw, now, before you ask why, since he can go into a deck and strip something out, look at his stats 7/10. If you put everyone in the front row, he’ll be at 13/10. If you have any Dimensional deal (for defense) or Battle for Metropolis, then he’s at 17/10 without the power armor, on 6, I will go strictly with Doomsday, he starts at 14, he can get to 18, depending on your on-going plot twists, and about 20 with the armor. 6 drop: I will run only 4 Doomsday, Evolution Advanced. This not only makes the deck modern, but helps the draw. Dimensional Deal for World’s Worstest. Good team up, but only 1 character in the deck has loyalty, and he’s loyalty-reveal but +1 Atk while defending is better. Future shock for She-Hulk Smash. +2 Atk for each character in opponents front row can get real dangerous, (its funny how that card would almost crush this deck.) but I usually hit my ongoing plot twists each turn, so after the 4th drop, that is +4/-4 or while attacking or defending, (hence the reinforcement card) and I can sacrifice either Tera-man or Professor Hamilton into a bigger character, so it makes sense that this would me my main attacking card. Executive Decision for Hidden Agenda. Hidden Agenda isn’t a bad card, but unless someone just knocks down my characters, and is about to attack direct (5 drop wolverine anyone…..) that is about the only use for that card, and not to mention that you still loose stun damage if they were hit already. 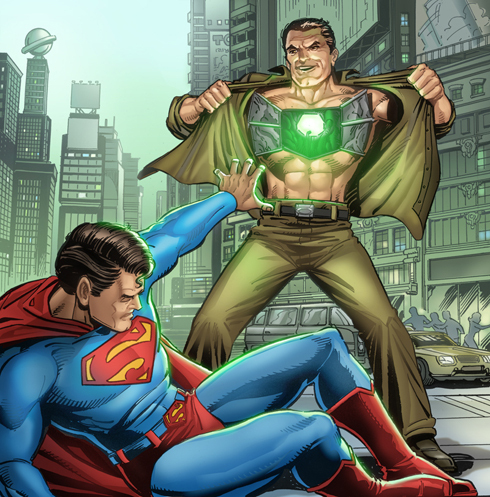 The safest character that you can use that on, would be Metallo, because they will burn along with you. Countdown to the City Champs!